The world's largest event dedicated to the educational, technical, and scientific advancement of ultraviolet (UV) and electron beam (EB) technologies. 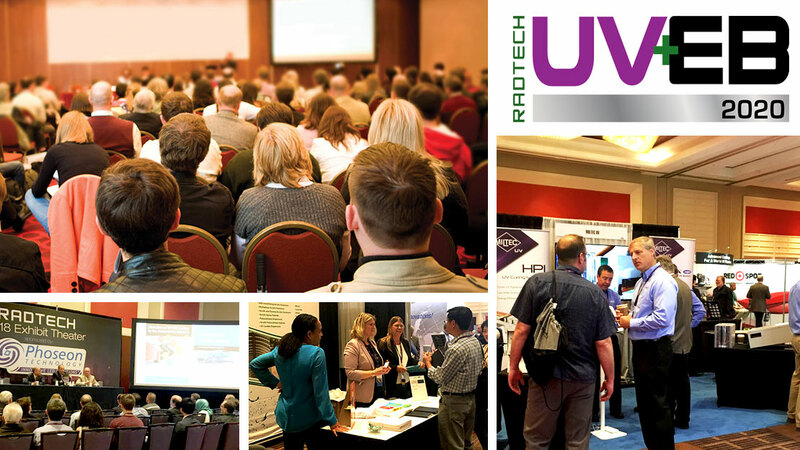 RadTech announces its 17th biennial conference and exhibition dedicated to UV/EB technology, set to take place March 8-11, 2020, at Disney Coronado Springs in Orlando, Florida. With more than 100 presentations, the latest innovations in UV LEDs, 3D printing materials, printing and packaging, coatings, formulations and more will be featured. The event also offers academic educational opportunities in undergrad- and graduate-level polymer chemistry and a course on Design of Experiments. The expo and conference, the world’s largest UV/EB industry event, also will include more than 80 exhibitors demonstrating the application of this exciting technology.